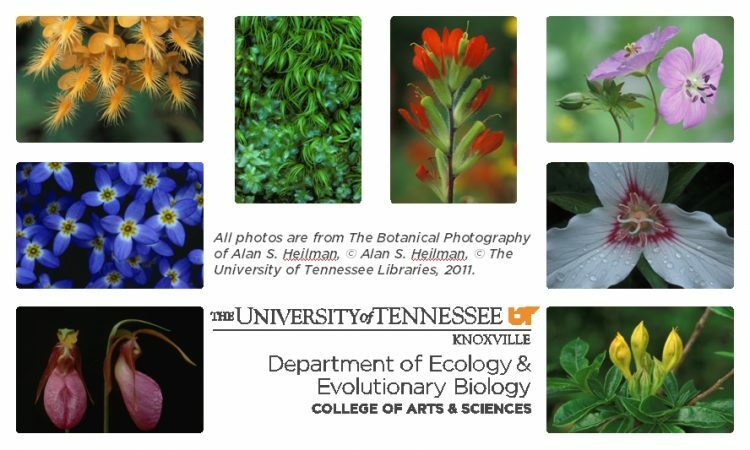 The Department of Ecology and Evolutionary Biology has worked with retired botany professor Alan S. Heilman to develop a set of 8 wildflower notecards (approximately 4.25 x 6.25 inches); each card features one wildflower native to Tennessee. These notecards are available for purchase by check through the mail (instructions below). Please indicate the address to which you want the notecards shipped. The costs below include shipping within the United States. If you want cards shipped to a different country, please email us for a quote. EEB is dedicated to researching and teaching about the evolution, maintenance, and future of biodiversity. The native species pictured on these cards are a celebration of our native biodiversity. All photos were taken in the Great Smoky Mountains National Park or along the Blue Ridge Parkway. All proceeds from the sale of these cards will go to the EEB Enrichment Fund, the primary departmental account. To learn more about EEB and how you can support the department, please visit our website at eeb.bio.utk.edu. The Botanical Photography of Alan S. Heilman collection consists of more than 1,100 digitized color-film photographs of flowering plants, ferns, mosses, and lichens taken over the past sixty years by a retired professor of Botany at the University of Tennessee, Knoxville. The collection is viewable online here.